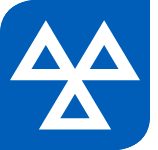 Comparison site TootCompare.com has compiled a list of the cars most and least – likely to pass or fail their first MoT, using data supplied by the Vehicle Operator and Services Agency (VOSA). Cars require their first MoT three years after they are registered; this list is based on cars that were registered in 2010 and tested in 2013. TootCompare ignored models for which there were less than 1,000 tests during the year. Seven of the top 10 cars most likely to pass their first MoT are Japanese.